It is the historic record collection which is going for a song. 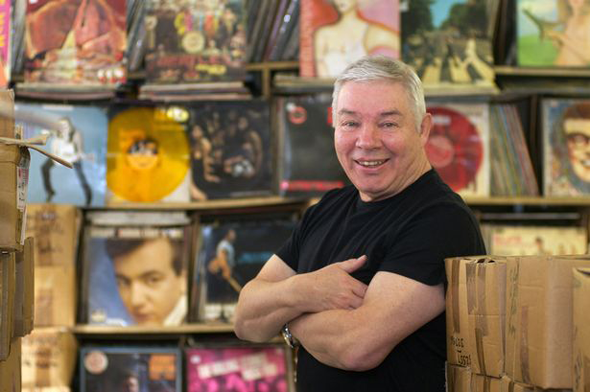 Because the owner of Birmingham's Reddington's Rare Records is selling off his entire stock of 75,000 albums and singles - for just £1 a pop. The astonishing collection includes every genre - and a number of legendary releases. 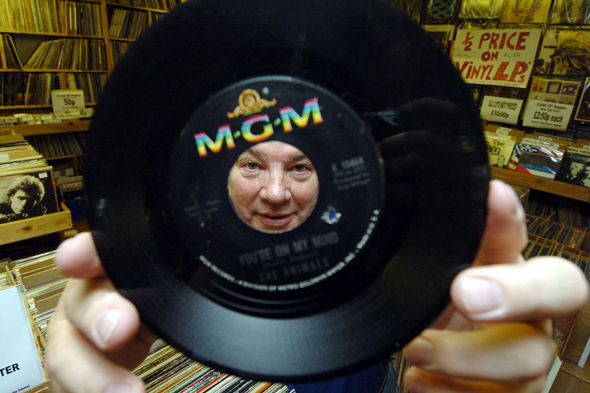 Owner Dan Reddington, 73, said: "I've got thousands upon thousands of record and CDs. 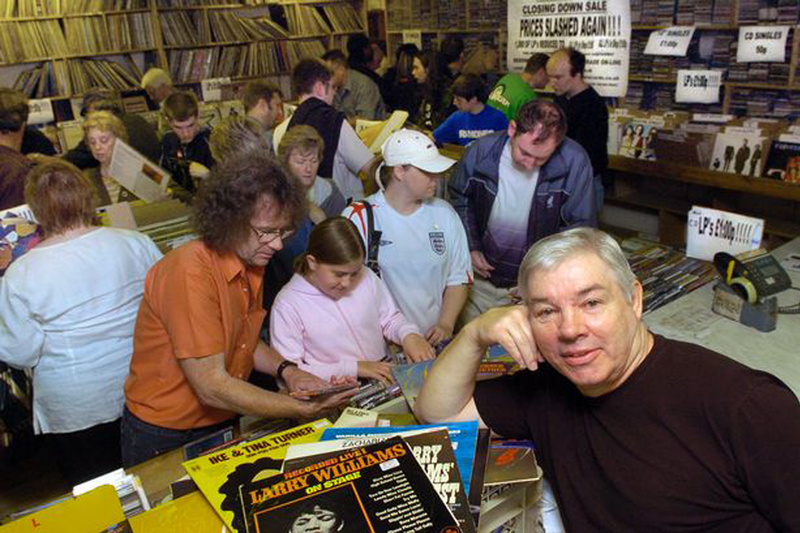 "Many are rarities, including Loving You, a rare ten-inch album by Elvis, but they will all be going for £1 each.’"
The sold-as-seen sale will start at noon on September 6 and will feature everything from vinyl LPs to box sets, CDs, 7 and 12-inch singles and even 78s. Genres covered will include pop, rock, country, rock ‘n’ roll and jazz. The sale will take place at Unit 2, Britten House, Britten Street, Redditch, where Dan has been running his business online for three years. Any unsold stock will go to his niece who works for the Air Ambulance. In December 2012 Dan cheated death when he had a triple heart bypass after tests showed his three main arteries blocked and that he'd already had a heart attack. Dan was ready to shrug off a tightening of his chest and a warm sensation around his heart as 'just one of those things'. But wife Beryl, 70, insisted he visit the doctor immediately. Following a 15-minute consultation with his GP, Dan was sent straight to hospital for two weeks of tests before he had the operation on December 7. He said: "I'd always played football and cricket and, for 15 years, squash and had never felt ill. I had two trials for Villa and one for Walsall." Now based near Evesham, the couple's two daughters have had two children each. Tammy's boys are George, 15, and Harvey ten, while Louise has Cale, 13, and daughter Inara, eight. Dan grew up in Sparkhill, but had lived in Hockley Heath until three years ago. Ask the Birmingham-born used record king for a favourite disc and it's a question he cannot answer. "It's hard to think of a favourite artist, LP or song," he laughed. "I guess the LP I never get tired of playing is Bullshot by Link Wray. Every track is a cracker." Dan's first shop was a 'five foot square' affair on the Warwick Road. He later moved close to Moor Street near to the Bullring, to Cannon Street and finally back to Digbeth before he left his last shop eight years ago. "I've always kept my eye out for records," he said. "I was once driving past a second hand shop and had to turn back. They had all of these Fats Domino records up for £1 each - which I sold for £25 each. "Now vinyl is making a big comeback, with records being made in 180g virgin vinyl, not the recycled stuff. "To sell, secondhand records have always got to be in good condition, that's how you get the biggest money for them. "Today, there is no set price. The buyer now dictates that, because there are now so many people selling records on eBay." For years he has been selling heavy rock records to Russia; now Japan is becoming a new market with the growth of vinyl record shops in Tokyo. "The most expensive record I sold was a blue vinyl version of Queen’s Bohemian Rhapsody, one of 200 given to EMI reps," said Dan. "It went for £3,500, but it also came with things like a scarf, a pen and a goblet. "I also sold a Marc Bolan jacket for £4,000. It was so small I couldn't get my arm into one of the sleeves." After selling up in Digbeth, Dan decided to continue selling online. "I used to conduct auctions by post," he said. "It used to take weeks and weeks. "I was told I wouldn't be able to afford the £500 deposit on our first house when Beryl was pregnant with our first child, but I sold five records to Australia for £600." He then painted the ceiling black and put up red, felted wallpaper even over the door. "It was very psychedelic, and I loved it," he added. One of Dan's favourite moments was meeting Muhammad Ali in a Birmingham bookstore. "I told him that he was The Greatest... along with Sam Cooke. "He really liked that, as Sam was a big friend of his and he wouldn't let my hand go until he'd finished Stand By Me. "Another time, around 1968, I thought there was an old tramp on the doorstep of my old shop near to Moor Street. "I didn't want him having a pee there like so many did, but when I went out to get rid of him it was Jimmy Page, just before he took off with Led Zeppelin. "John Peel was really funny. He'd tell me jokes, like Bill Shankly being asked at the barbers: 'Do you want anything off the top...?' 'Aye... Everton'." The first record Dan bought with his own money was Sammy Davis Jnr's Because of You on a 78, which includes impersonations of actors on one side and of singers on the other. "The first LP I bought was Lonnie Donegan’s 10" Showcase," he added. "I'm a great fan of all types of music and I've seen them all except Elvis."